I am new to the NBA 2K18 PC however I have played the game at my friend's house (PS4). The thing which I enjoyed most has been the blacktop mode with all the classics and all-times. I might be blind or stupid but I can't find the button which allows me to switch between current/classic/all-time teams in blacktop. I can't find ANY answer ANYWHERE. I have checked tons of forums - nothing. Seems like You guys are the most active. Is the thing about PC that it doesn't include this feature? Maybe I'm not aware. 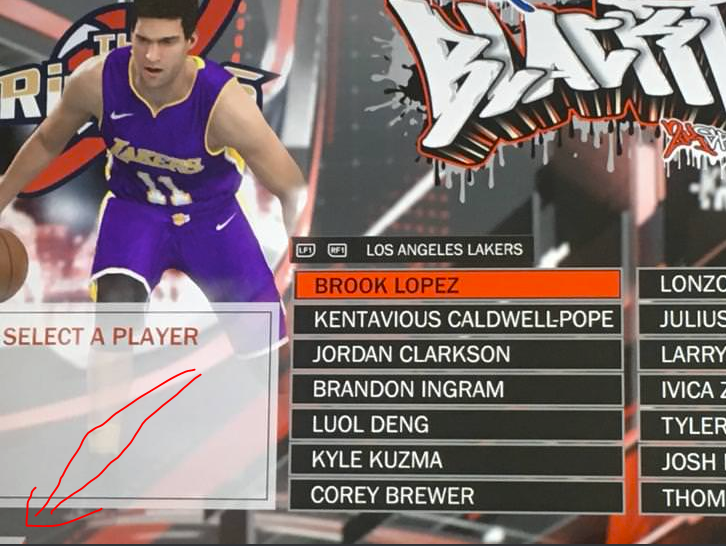 If it's true, is there any chance of having a mod which allows to use the teams and players in the mode? Maybe my PS4 friend has unlocked the feature somehow? (He says it's been there from the beginning though). PS. Here's the pic if that's by any chance the fault of my system/game. Last edited by bozo on Tue Jul 31, 2018 6:51 am, edited 2 times in total. Just off the bottom left of that picture you posted there is an icon next to "NBA". Press that icon to change the teams to Classic, All-Time, or your MyPLAYER. If you're on a keyboard, I think it's the number 4 key. I posted TWO pictures and unfortunately the one which needs to be explained is the first pic. I forgot to mention that I AM ABLE to change to classic/alltime in an EXHIBITION game. But, what I need, is the same but in THE BLACKTOP MODE (first picture). I play with classic and all-time players in Blacktop all the time on the PC version. Where that arrow is pointing there is a button, Y on Xbox controllers. Press it and the teams will change from NBA teams to the others. JaoSming you are my goddamn hero but seriously..... HOW???? I mean, of course I've seen this button at the bottom of the screen but hell I knew "NBA" means a team type!! Seems like on PS4 I just press the triggers and my sight plays tricks on me (I thought there's need to be a special subsection to choose). Okay, this is the type of post which makes the helper a GOD so THANK YOU ONCE AGAIN you saved my Wednesday's sausage party because my PS4 guys are coming and I want to show them the power of PC No faux pax now! THANKS A LOT!